R.N. Goss Gas Products is pleased to announce that Monika Goss has joined the company as the new purchasing and inventory manager. She is the fourth generation to work in the family business, which was started by her great-grandfather, R.N. Goss, in 1934. Goss Gas will mark its 85th year in business in 2019. Her role at the company involves anticipating and responding to customer needs and the coordination of many aspects of the business including sales, operations and delivery. Primarily, she works directly with the sales team and suppliers to ensure inventory is optimized to meet market demand. Starting from a young age, she has worked part time for the family business. Goss graduated from Case Western Reserve University in 2015 with a master’s degree in biomedical engineering. She worked in the neural engineering field for several years before returning to the area with her husband this past spring. As part of her training, Goss interacts with every department and has worked in various capacities company-wide to get an overall sense of how the organization interacts. “For me, it’s about experiencing every role within the company to understand and improve our processes, customer service and efficiency,” she said. Eleet Cryogenics, Inc. acquires West Cryogenics, Inc.
Eleet Cryogenics, Inc., has acquired West Cryogenics, Inc. in Willis, Texas which provides a variety of services, including liquid cylinder and bulk tank rehab, manufacturing of portable cryogenic trailers and transport rehab. This expansion is instrumental to the continued growth of Eleet Cryogenics and builds upon the solid foundation that West Cryogenics has established since their inception in 1985. Both family-owned companies have shared the same core values and focus. This creates a stronger, more integrated provider of superior products and services. Eleet Cryogenics reports that many customers have requested that Eleet expand into the Southern portion of the United States and they are excited about the opportunity to be of service in this region. Eleet now has stocking locations in Ohio, Georgia, and Texas for new Taylor-Wharton bulk and microbulk tanks. 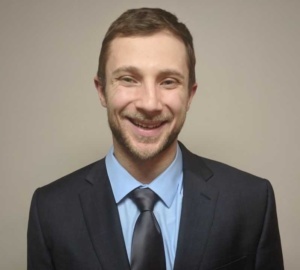 Wise Telemetry is pleased to announce the addition of Nick Marco as vice president of business development and operations. Marco will be responsible for helping customers identify how telemetry can help them reach their operational and financial goals while maximizing customer service. Marco comes to Wise Telemetry from Linde, where he had three years of experience as a project manager in bulk gases overseeing storage and application equipment system installations. During his time there, Marco worked on projects throughout the eastern United States as well as the Caribbean. He also is a graduate of Linde’s “LEaD” leadership development program. “I am thrilled to join the Wise Telemetry team,” Marco said. “Wise is in a unique position to help accelerate the gas industry’s shift into the IIoT space. 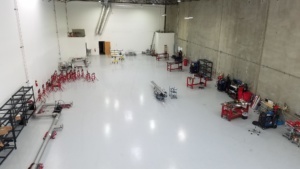 I look forward to helping this dynamic company grow, and most importantly, serving our customers.” As Wise Telemetry continues to expand its product offerings and industry partnerships in 2019, Marco will also be focusing on providing customers with a seamless transition from legacy telemetry systems through Wise’s various platform transfer programs. Marco holds a double major bachelor’s degree from Carnegie Mellon University in materials science and engineering as well as engineering and public policy. 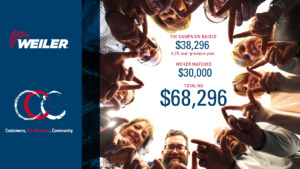 Weiler Abrasives has raised over $68,000 to support the United Way of Monroe County, PA. During a three-month long company campaign, running from September to November 2018, employees pledged $38,296, and the campaign received a $30,000 corporate match. The donations will serve to support key local United Way programming initiatives for local residents facing poverty. These initiatives include access to healthy food and programming for working families, as well as critical housing services and more. The committee also hosted the Weiler Abrasives Fourth Annual Golf Tournament in September at Skytop Lodge in Skytop as a means to fundraise for the campaign, while October featured a variety of raffles to support it. 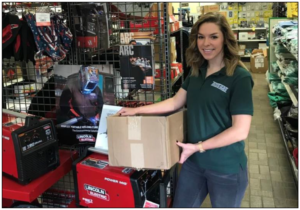 Weiler Abrasives held its pledge month in November, with the majority of contributions collected directly during this time and by way of raffling larger, donated items. Weiler Abrasives has been a supporter of the United Way of Monroe County, PA since 2002. Named the President and Head of Americas at WIKA Group a few months ago, Todd Gardner began his tenure by emphasizing the importance of bringing even greater value to current and future customers. To do that, he plans to steer the company to provide more solutions that blend instrumentation, automation and digitalization. Gardner oversees the U.S. operations of a multinational group based in Klingenberg, Germany. His previous role was that of a vice president for Siemens, another global conglomerate with headquarters in Berlin and Munich. Gardner plans to keep investing in employees, machinery, processes and facilities. “I come from product sales, so I understand full well the importance of training not only our salespeople, but also the factory floor. It’s a constant reinvestment. We’re not cutting corners in this area.” Specifically, he is focused internally on improving WIKA’s processes by investing in automated assembly, harnessing the latest in CNC (computer numerical control) machining technology and moving toward paperless manufacturing. DataOnline has announced a formal agreement with Chart Industries to convert and upgrade all of Chart’s onsite telemetry customer accounts to their platform. Chart customers will experience a high level of engineering, reliability and associated product offerings with the DataOnline system for all their telemetry needs. “We are excited to partner with DataOnline and look forward to working with them to provide our customers with the very best in telemetry services,” commented Grady Walker, President of Chart Industries, Inc. Distribution and Storage Western Hemisphere. 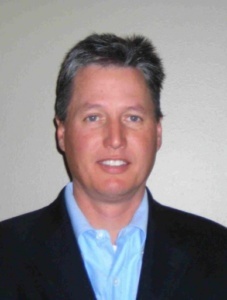 Pulsa has recently hired Mike Dillingham as the head of product design. Dillingham will be responsible for the industrial design of Pulsa’s hardware and software, and also driving a roadmap to ensure Pulsa meets the usability needs of its customers. 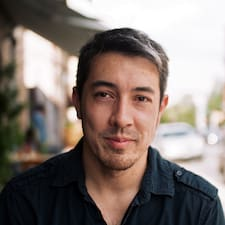 Dillingham was most recently responsible for host-related product design at Airbnb, after gaining broad experience in the field at design agencies like Huge, Code & Theory and Big Spaceship. He holds a B.A. in design from UCLA. CryoWorks has added 10,000 square feet of space for manufacturing vacuum-jacketed hoses. “We are very grateful for the opportunity to expand our offerings and look forward to providing even better customer service with the increase in our manufacturing capacity,” said CryoWorks CEO/President Tim Mast, Sr.